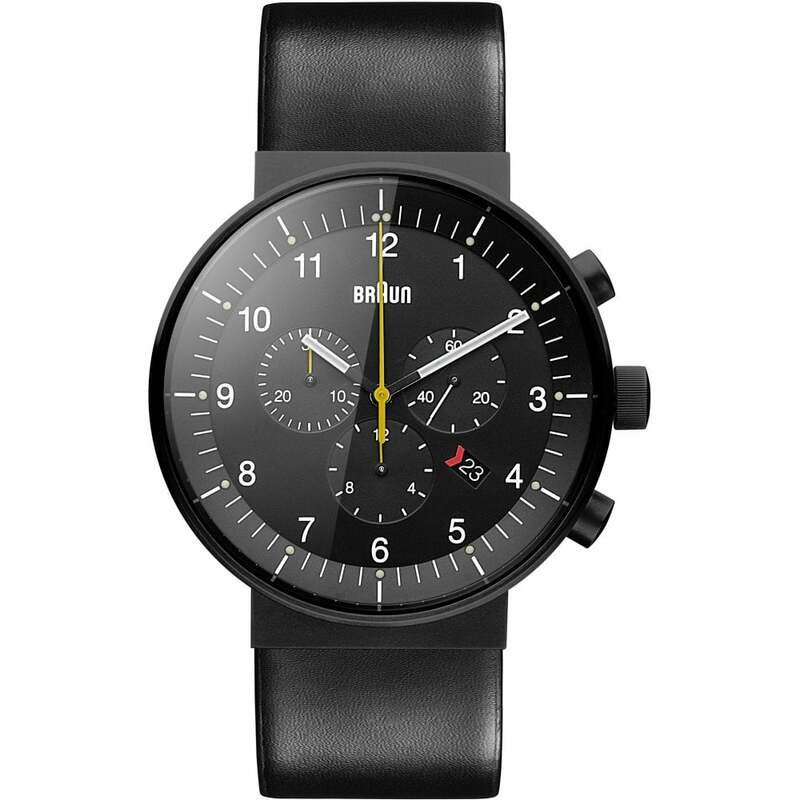 The Braun BN0095BKG Prestige Black Leather Chronograph Men's Watch is fitted with a black leather strap sitting on a stainless steel black case. This watch also comes with a black dial with a Chronograph date display. This watch comes with a 2 Year Manufactures Warranty.